fell asleep in line at whole foods and awoke to a man behind me saying "move it or lose it"
sent nick out to buy "the baby whisperer"
how can four weeks seem like a lifetime while at the same time feel like a few (long) days? i thought i would write down some random things (surprise, surprise) in case she ever asks me what she was like at 1 month old or if anyone still checks on this poor blog. Elle Belle, you are 1 month old and cuter each minute! 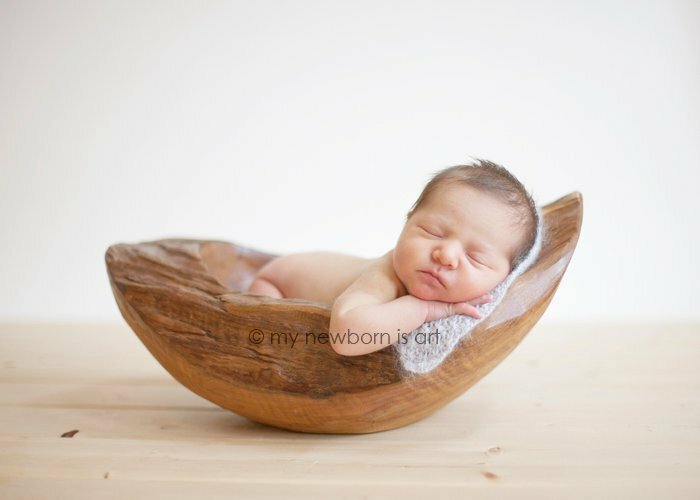 each time you wake up from a nap i swear that you have added a few ounces to your cheeks, (oh, those cheeks). you eat about every 3 hours, from the start of one feeding to the next so usually it ends up only being 2 hours! or you just eat whenever you want (as you should) and you sleep whenever you feel the need, you do always stay up late until about 1 am regularly. you love your baths. daddy likes to stick out his tongue at you and wait for you to imitate him, and now you just stick out your tongue as soon as you see him! you are now filling out your newborn clothes but are still swimming in the 0-3 month outfits. at your 2 week appt you were 7.8 lbs and 20 inches and your little head was in the 12th percentile! in the past few days it seems as though you have woken up, you love to play and interact! you are more fun each day! at 8:58 am, 12 hours after my water broke while eating my salad in the ballroom at the Grand America Hotel at Nicks' work Holiday party, minutes after one of the partners introduced Nick to the room and said "...and his very pregnant wife, she has promised not to go into labor tonight, they are here tonight as their last hurrah (??)" 16 weeks: she is a girl! 18 weeks: fly to NYC to see Dave Matthews and sweat and swell my way through the city and "wait, i haven't thrown up today or yesterday"
she is a girl! Husband and I had a feeling from the very beginning that it was a girl. We always thought she... never he or it. Also, a few days before I found out I was pregnant I had a dream about a baby girl! My mom was convinced that she was a boy and was only buying boy clothes. 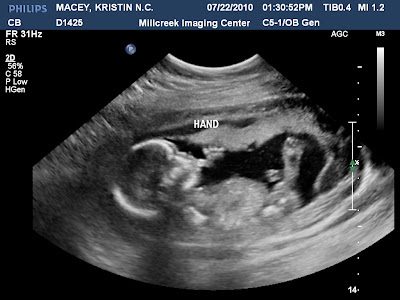 At 16 weeks we went to fetal photos and they told us she was a girl. My mom decided "he" was just little and she would not return any of the boy clothes until my doctor ultrasound at 19 weeks. A few days before my doctor ultrasound she had me convinced they were going to see a boy and i started picturing a little boy with glasses, he looked a lot like the little boy on jon and kate plus eight. But alas, she is still a girl! confession; when we got into the car after the first ultrasound i started to cry, even though i had thought it was a girl, it hit me and i was terrified. just crying, and crying about how scared i was to have a girl because i was not easy on my parents. i was a snot from about 9 to 20. so let's pray she takes after daddy.